Don’t you love to get lost amongst the trees? 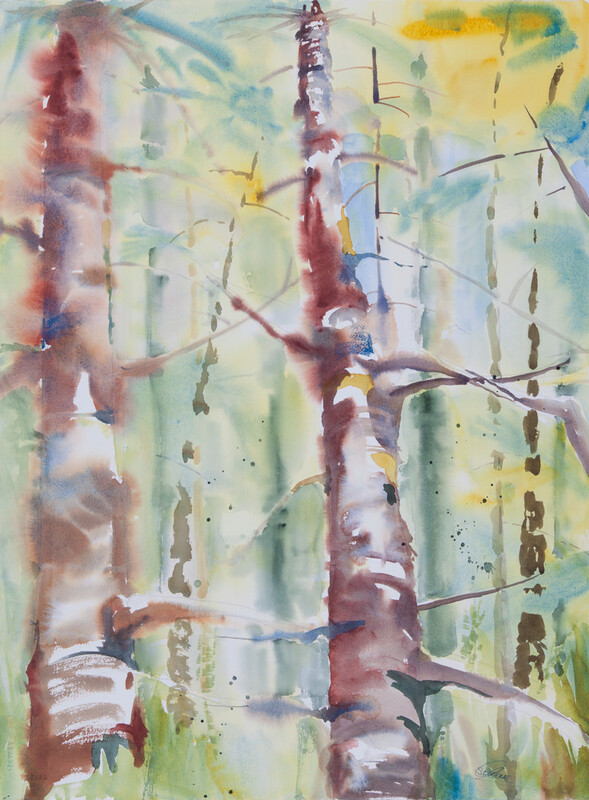 This forest is painted from memory as I wander through and observe the light in the distance. J'adore me perdre dans la foret, et toi? Cette foret est peinte de mémoire et je cherche la lumiere au loin.